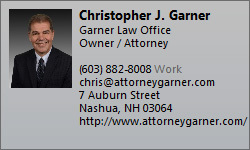 If you are facing unmanageable debt, foreclosure, collection suits and harassing creditors consider debt relief and bankruptcy options by calling 603 882-8008 or contact chris@attorneygarner.com to schedule an appointment to learn more about how we may be able to help you. 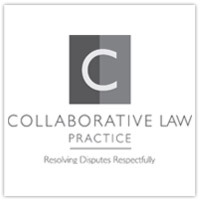 Nashua NH and statewide consumer bankruptcy attorney for advice and effective representation in chapter 7, chapter 13, foreclosure relief, second mortgage stripping, collection defense, dealing with tax debt, priority debt and all debt relief options. Get a fresh start with bankruptcy relief that will give you peace of mind and security as you rebuild your family and financial future.